Dr. Mark Flomenbaum testifies in the murder trial of Shawna Gatto that the 4-year-old girl had multiple injuries, including internal bleeding in her abdomen in the hours before her death. AUGUSTA — While photos from the autopsy were projected on a screen behind him, Maine’s chief medical examiner testified in clinical but graphic detail Tuesday about the numerous injuries that caused the death of 4-year-old Kendall Chick in December 2017. Dr. Mark Flomenbaum documented 15 to 20 distinct injuries to her head, face and neck, as well as other significant bruises on her body. He also talked at length about recent trauma to her abdomen – which occurred from 1 to 12 hours before death but closer to the shorter end in his opinion – that was so forceful it lacerated her pancreas and caused internal bleeding. He said that injury seemed more consistent with hard or prolonged squeezing than a blow or a fall. 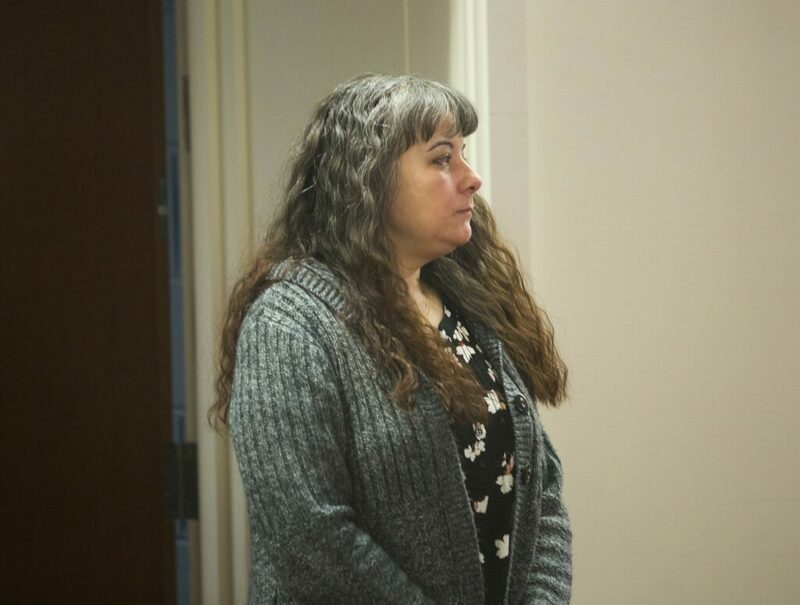 The medical examiner’s lengthy testimony dominated the second day of the trial of Shawna Gatto, who is charged with depraved indifference murder, a classification alleging that even if she didn’t intend to kill Chick, her actions demonstrated no regard for human life. Gatto, 44, is the fiancée of Chick’s paternal grandfather, Stephen Hood, and was the girl’s primary caretaker for nearly three years after she had been removed by the state from her mother’s care. Kendall Chick, 4, died with multiple injuries. Gatto waived her right to a jury trial, which means the verdict will be delivered by Superior Court Justice William Stokes. Even if Gatto is found not guilty of murder, for which she could face 25 years to life in prison, she could be found guilty of a lesser charge, such as manslaughter, which carries a maximum penalty of 30 years. Because of the state’s involvement with Chick at such a young age, her death, along with the death of 10-year-old Marissa Kennedy three months later, forced state policymakers to closely examine the effectiveness of Maine’s child protection system. Internal and external investigations found that the system was overburdened and understaffed, putting children at risk. Several reforms have followed, with more being debated. Gatto, in a lengthy interview with a state police detective that was shown in court Monday afternoon, repeatedly talked about how clumsy Chick was and how she fell down all the time. At one point, the detective, Joshua Birmingham of the Maine State Police, asked Gatto about the various bruises on the girl. “Honestly, I couldn’t tell you where half of them were from,” Gatto said. Assistant Attorney General Donald Macomber portrayed Gatto as a woman who was overwhelmed by the circumstances of taking care of three young children by herself. In addition to Chick, who was born drug-affected and was developmentally delayed, Gatto was the primary caregiver for two of her own grandchildren: a 4-year-old boy and an infant. Early Tuesday, before Flomenbaum’s testimony, Detective Birmingham was called to the stand to finish his testimony from the day before. He talked about reading text messages on Gatto’s phone that hinted at her growing frustrations. In one message from Gatto to Hood, on Sept. 14, 2017 – less than two months before Chick died – she wrote, “I’m so (expletive) done with this kid,” and detailed how the little girl fell into a coffee table face first and went to the bathroom all over the floor. Flomenbaum, in his testimony, talked at length about Chick’s injuries, but also was asked about his examination of the girl’s thymus because the gland is a strong marker of stress in children, whether physical or psychological. “She had been under stress for a long time, we’re talking weeks or months,” he said. The photos showed during Flomenbaum’s testimony were so graphic that at one point the medical examiner even asked the prosecution to take one of them down after it had been on display for many minutes. During cross-examination, Gatto’s attorney, Jeremy Pratt, questioned Flomenbaum about whether someone could have caused the injuries, specifically mentioning Hood, Gatto’s fiancé and the girl’s grandfather. “I make no comment about who caused the injuries,” the medical examiner said. Pratt also asked Flomenbaum about his assessment of Chick’s thymus gland and how it showed prolonged stress. “Can you identify the source of stress?” the defense attorney asked. Later Tuesday, Pratt called an expert witness, Jack Daniel, to rebut Flomenbaum’s testimony. Typically, the prosecution presents its entire case before the defense calls any witnesses, but Daniel was allowed to testify Tuesday because he had traveled from another state and because his testimony was directly related to Flomenbaum’s conclusions. Daniel, a forensic pathologist from Virginia, completed his own report on Chick based on case records, including Flomenbaum’s autopsy report. He said that he believed the child’s fatal injury could have occurred up to 32 hours before her death, which is much longer than the 1- to 12-hour range Flomenbaum arrived at. Daniel also said he could not make a determination about whether the blunt force trauma that caused Chick’s death was intentional or accidental. Much of his testimony was technical and laden with medical minutiae. Justice Stokes paused testimony several times to ask him to explain. The competing and conflicting testimonies of Flomenbaum and Daniel are likely to be major factors in determining a verdict. 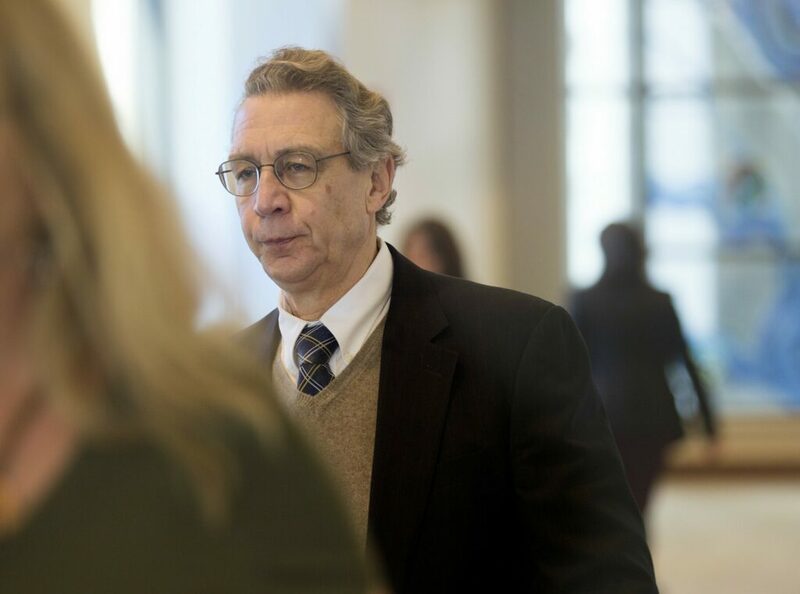 In an unusual coincidence, Flomenbaum testified – in his individual capacity and not as Maine’s top medical examiner – in a similar case three years ago in Connecticut. 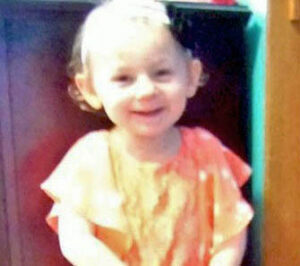 That case also involved the death of a young child and Flomenbaum testified as an expert witness for the defense that he believed the child died of natural causes and not from blunt-force trauma. Gatto’s trial will resume on Wednesday. The prosecution is likely to finish its case, at which point Pratt will begin his defense.